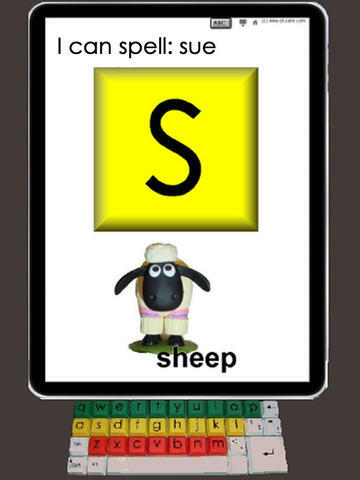 Like the Keyboard Fun and Typing Fun apps, this is another take on the learning of the alphabet, spelling and learning of the keyboard. The app has been created by Occupational Therapist, Susan Hossack. This app is for learners who are in the first stages of learning how to spell. We have given the app 4 Stars. This app is different to other spelling apps as the learner or even a supervisor must create the words that require spelling. 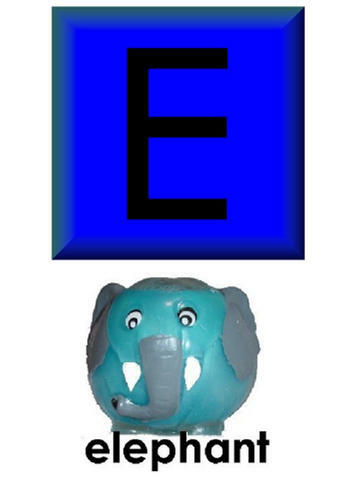 Each letter is presented in turn and the learner must find the letters in the keyboard to spell the word correctly. Every time the correct letter is pressed, a picture of an object or animal that begins with that letter is displayed. The letters can be displayed in either uppercase or lowercase. There are two ways to engage with this app one is that the child plays independently when the app is set to the “touch only” mode. This does not need the use of the keyboard, and it builds letter recognition by sight and sound. The other way to really get the most out of this app, is to play together with your child/pupil in the classroom as it fosters interaction and engagement. 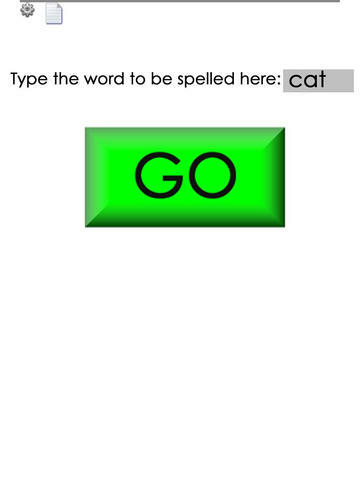 You can spell out some simple words and have the child copy and learn the spellings via the keyboard. This makes usage of the app a little cumbersome; however adult-child interaction is important too. It would be a good idea too, if the app had a section where a list of all the new and learnt words could be displayed for the learner. Having them ticked off and displayed nicely would really create a sense of achievement in the learner. However, we like the fact that you can also see the statistics of how the learner is improving in order to monitor progress. Additionally, we spoke to the developer about the ideas for improvement and she said that she would be incorporating many more features into the app. Overall this is a very good app and it would be very useful in your child’s tablet and for usage when you spend some quality time with him/her. 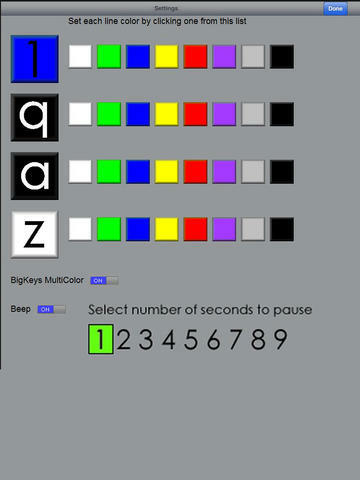 This app takes “Type-A-Word-Lite' a step further by giving you the option to color the keys on the keyboard display (including a different color for each line, and BigKeys multicolored keys). 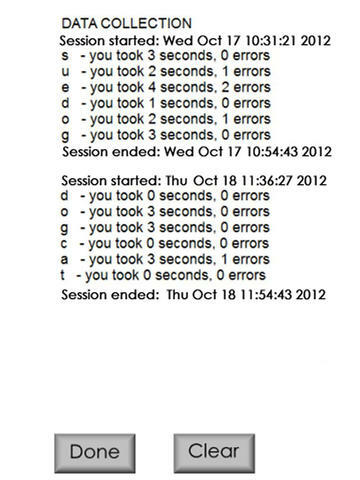 Data collection is included, showing how long it takes to press each key, and how many incorrect key presses were done. Settings also include turning on or off the beep for incorrect keypresses, and setting the time between letters. You create the word to be spelled/typed. Once 'Go' is pressed, each letter of the word is presented in turn. The student must find the key on the keyboard. When the correct key is pressed a fun picture is shown and sound for that letter is played (for example “A for alligator”). Uppercase or lowercase letters can be selected for display. Either an external keyboard or the IPAD's onscreen keyboard may be used. Touch the letter to hear its sound, touch the picture to hear the description repeated. With clear, uncluttered screens to accommodate for low-vision, this app can be used to familiarize the student with the keyboard before moving up to 'Miss Sue’s Keyboard Fun'.